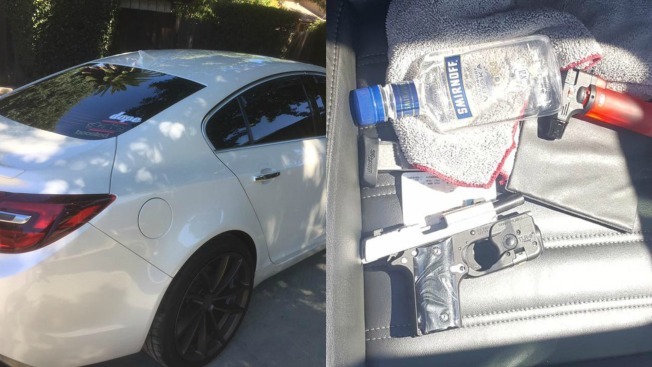 Officers arrested a man on suspicion of brandishing a firearm after he allegedly pointed a handgun at a Concord couple on their way to the store Saturday, police said. A man driving a white Buick Regal in the area of Willow Pass Road and Farm Bureau Road pointed a gun at the couple as he drove past them, Concord police said. The couple were able to photograph the suspect, and police quickly found the Buick at a Concord home.